It’s been quite a while since my last post which can be attributed to three things that have happened over the last 20 or so days: laziness, traveling and the holidays. I would start a new post and just not have the time or push to finish it, but on the bright side I now have a few new things to talk about. As we approach the busy holiday travel week I think we need to give some credit to DTW, which, as I’ve come to find out over my lifetime isn’t all that bad. Having read articles and reports that rated major U.S. airports in the past, I knew that Metro Airport had been highly regarded by many sources. A quick Google search found that we rank number one by J.D. Power and Associates among large airports in there Airport Satisfaction Study. 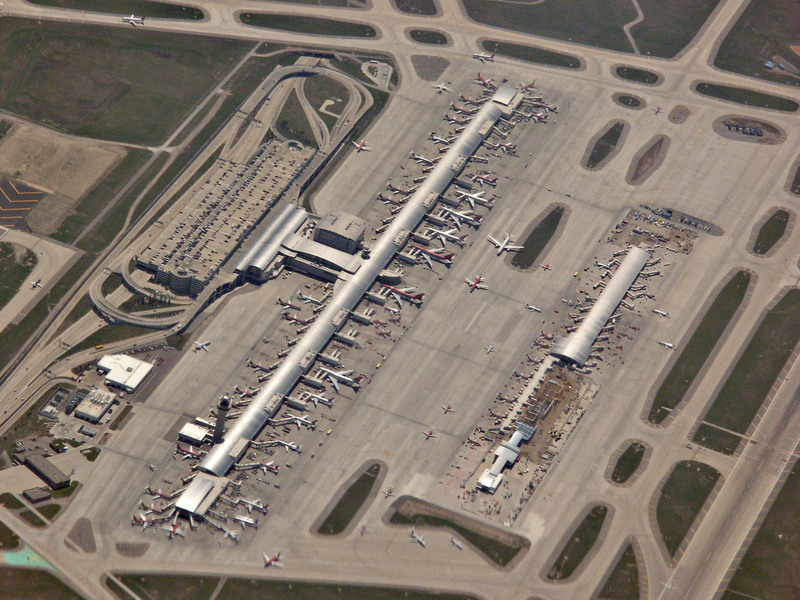 Rounding out the top five were (2) DEN: Denver International, (3) MSP: Minneapolis/St. Paul International, (4) MCO: Orlando International and (5) PHX: Phoenix Sky Harbor. I’ve had the luxury of experiencing both of our new terminals over the past few years, thanks to a handful of business and personal trips. The McNamara Terminal, which opened in 2002, replaced the Davey Terminal and has proved to be a wing that satisfies key areas, including security, accessibility, baggage claim and food & retail services. More recently, the North Terminal, replacing the Berry and Smith Terminals, is an impressive upgrade to what was formerly two aging terminals with a lack of modern amenities. Design: The design of DTW’s terminals makes them very easy to navigate, as they are more or less built on straight lines. Finding the correct gate is not difficult and the amount of retail and food options between gates is very diverse and plentiful. With baggage claim, departures, and arrivals all neatly stacked upon one another, checking in and arriving are a breeze. There are no nooks, small dark hallways or other uninviting ways to get lost or turned around in. Accessibility: DTW serves a large number of people on any given day but for the most part, even during holidays, getting to-and-from the airport is not as difficult as it can be in other major metropolitan cities. Parking has never seemed to be an issue; with strategically placed cell phone lots one doesn’t have to park, but rather wait for a call to scoop up their now grounded passenger. Signage throughout the property and within the terminals is easily readable and simple. Food & Retail: The McNamara Terminal defeats the North Terminal when it comes to options for food and shopping. This can be mostly attributed to the sheer size difference between the two terminals. However, the North Terminal has come along way and blows away its predecessors. 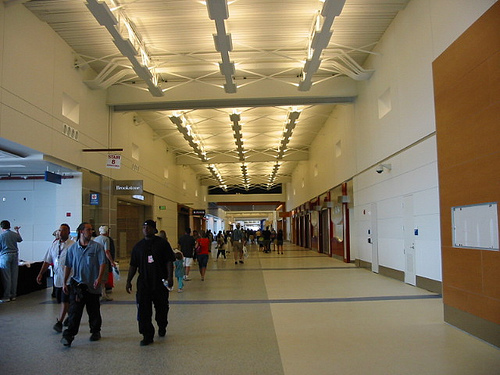 Both terminals have a healthy mix of both nationally and locally known stores and restaurants. The terminals offer all sorts of different styles of food and price ranges. The biggest difference I’ve come to notice when flying out of DTW is the overall cleanliness of the buildings, notably the bathrooms, hallways and gate areas. They are typically kept very clean which makes waiting for a plane very relaxing and comfortable. 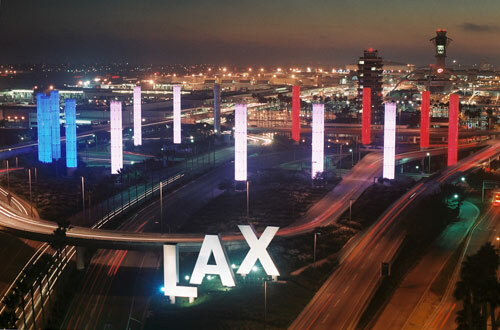 Having recently visited LAX (Los Angles International Airport), the terminal we arrived at was outdated, confusing, dirty and lacked many of the modern amenities we are accustomed to. This isn’t about flight delays–I pin that on the carrier–but rather the airport as a whole. Airports should be able to make those dreaded flight delays a little more enjoyable by offering a comfortable environment for their guests/passengers/customers. Nobody likes waiting longer for a flight then originally planned for, but doing it in an outdated airport that has nothing to help pass the time makes that experience much worse than it has to be. 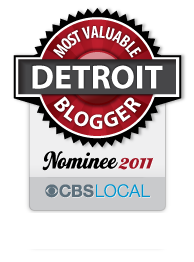 This entry was posted in Detroit and tagged detroit, dtw, j.d. power and associates, lax, mcnamara terminal, metro airport, metropolitan airport, north terminal, travel. Bookmark the permalink.